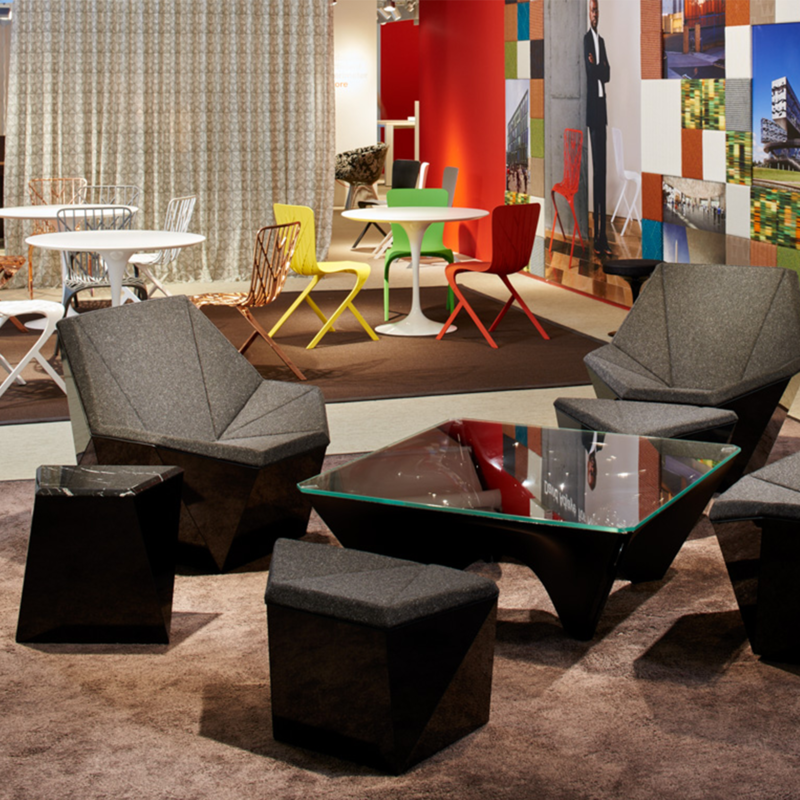 DesignApplause | prism by david adjaye for knoll. Prism is David Adjaye’s new addition to his critically acclaimed 2013 Washington Collection and his first foray into lounge furniture for Knoll. The suite, which includes a club chair, an ottoman and a side table, explores twenty-first century sculptural forms that command a presence in any setting. 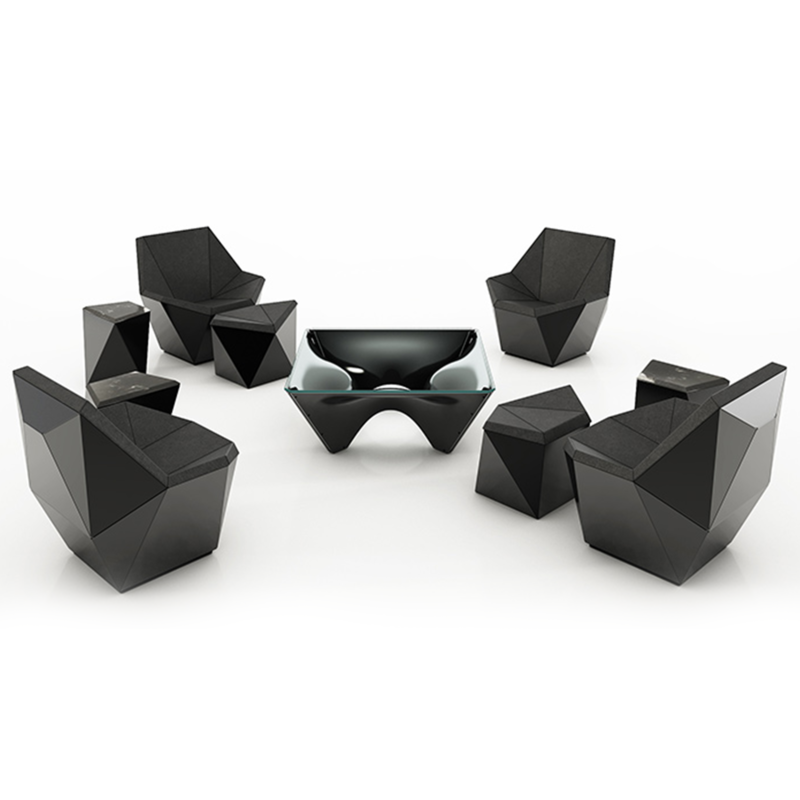 Prism complements Adjaye’s Washington Skeleton™ and Skin™ chairs and Corona™ Table. Each of the three pieces—a swiveling lounge chair, ottoman and side table—has a base of a glossy core laminate shell, available in red, white or black. 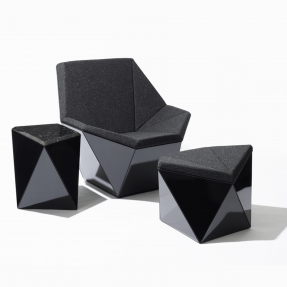 The Prism Lounge Chair and Ottoman both come in faceted upholstery, tailored for comfort; a variety of textiles are approved. The Prism Side Table is available in five marble top finishes.